As you can see, the group did more than just chase snakes! They celebrated two birthdays, learned about the history of Caldwell, practiced wildlife photography, explored the Chikaskia River, and enjoyed an evening cookout at the Carson Ward (LX Ranch) located near Drury, Kansas. The group collected and identified nearly 600 individual specimens of amphibians, reptiles, and turtles representing more than 30 species during their adventure. Exact data will be published at a later date. CLICK HERE TO SEE MORE OUTSTANDING IMAGES FROM SUMNER COUNTY, KANSAS! 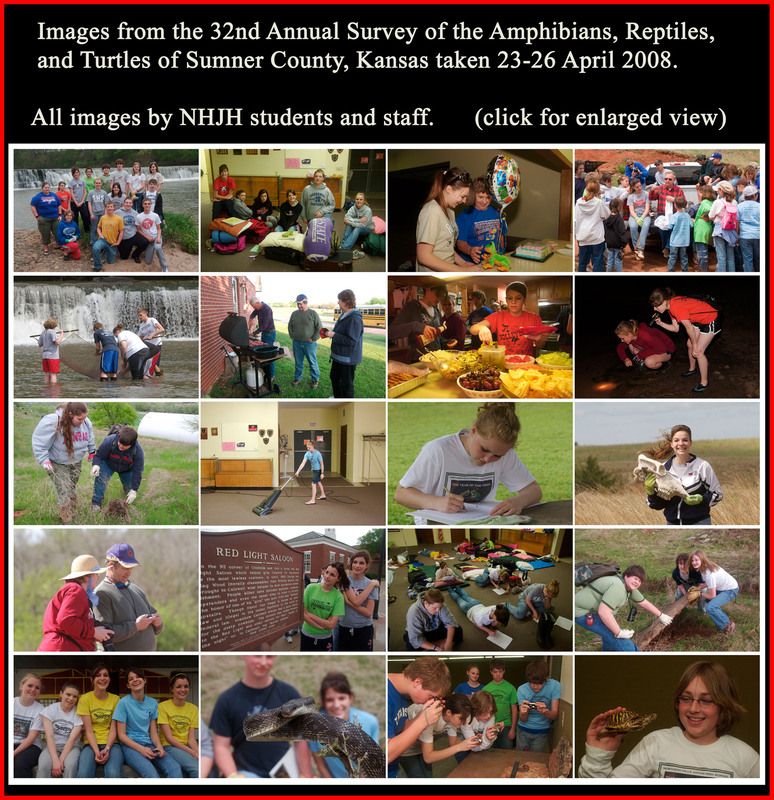 Click here to go to www.nhjhbiology.com which is the main page for Northern Hills biology. Just follow the links to a variety of images and information. Click here to go to www.KsHeritage.com which is the main page for Mr. Larry L. Miller and KANSAS HERITAGE PHOTOGRAPHY. Links from this location will take you to a vast amount of scientific, environmental, and historic information.